We have the equipment and expertise to record live video and sound professionally. 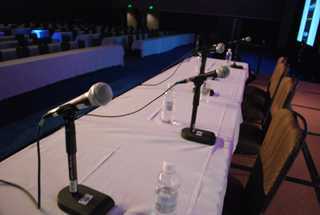 Corporate AV, LLC has MP3 recorders and camera equipment to record your next meeting. Whether you want it edited and ready for the web or just on a DVD for archive, Corporate AV, LLC can provide you the solution.